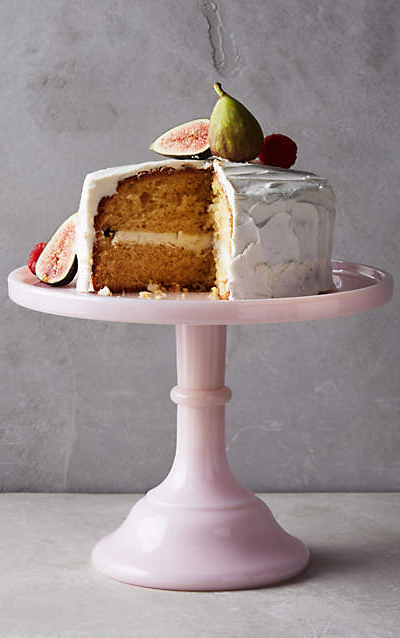 Available in two sizes, this Pink Milk Glass Cake Stand is the perfect pedestal for displaying cakes, pies and other sweet treats. Made of glass. Handcrafted in USA. $68-$98. Buy here.